College student filmmakers have until March 22 to submit entries to the Chicago Shorts Festival, sponsored by Robert Morris University Illinois. The festival provides a forum for college filmmakers to tell a story and have their voices heard through film. 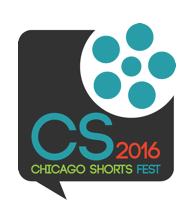 College student filmmakers have another week – until March 22 - to submit entries to the 2016 Chicago Shorts Film Festival. The Festival, sponsored by Robert Morris University Illinois, provides a venue for collaboration and fosters community among college students while providing a forum to tell a story and have their voices heard through film. It is an opportunity for college students to be recognized and awarded for their work in film and is open to college and university students worldwide, regardless of country, major or school they attend. Over the years, entries have been received from across the U.S. and several countries. The entries are subject to a jurying process by industry professionals and the winning entries in each category will receive a $1000 cash prize; second and third place winners will also receive prizes and recognition. It is free to enter and students can learn about the different categories and how to submit their work at the Festival website: http://chicagoshortsfestival.org/ They can also email questions to: 2016fest(at)chicagoshortsfestival(dot)org. The Chicago Shorts Festival is set for April 27 at the Gene Siskel Film Center, 164 N. State Street in Chicago. Winning entries in each category will be shown.